Twenty-two organizations including Unitarian church groups, gun ownership advocates, and a broad coalition of membership and political advocacy organizations filed suit against the National Security Agency for violating their First Amendment right of association by illegally collecting their call records. The coalition is represented by EFF. At the heart of First Unitarian Church of Los Angeles v. NSA is the bulk telephone records collection program that was confirmed by the publication of an order from the Foreign Intelligence Surveillance Court (FISC) in June of 2013. The Director of National Intelligence (DNI) further confirmed that this formerly secret document was authentic, and part of a broader program to collect all major telecommunications customers’ call history. The order demands wholesale collection of every call made, the location of the phone, the time of the call, the duration of the call, and other “identifying information” for every phone and call for all customers of Verizon for a period of three months. Government officials further confirmed that this was just one of series of orders issued on a rolling basis since at least 2006. First Unitarian v. NSA argues that this spying violates the First Amendment, which protects the freedom to associate and express political views as a group. Why the focus on associations? What is the factual basis for the case? What harm does the First Amendment Right of Association seek to protect against? What legal tests apply when the First Amendment is at issue? Is that all you’re arguing? What are the specific legal claims? Where is the case being filed? How does this case compare to Jewel v. NSA? Our goal is to highlight one of the most important ways that the government collection of telephone records is unconstitutional: it violates the First Amendment right of association. When the government gets access to the phone records of political and activist organizations and their members, it knows who is talking to whom, when, and for how long. This so-called “metadata,” especially when collected in bulk and aggregated, tracks the associations of these organizations. After all, if the government knows that you call the Unitarian Church or Calguns or People for the American Way or Students for Sensible Drug Policy regularly, it has a very good indication that you are a member and it certainly knows that you associate regularly. The law has long recognized that government access to associations can create a chilling effect—people are less likely to associate with organizations when they know the government is watching and when the government can track their associations. The case challenges the mass telephone records collection that was confirmed by the FISA Order that was published on June 5, 2013 and confirmed by the Director of National Intelligence (DNI) on June 6, 2013. 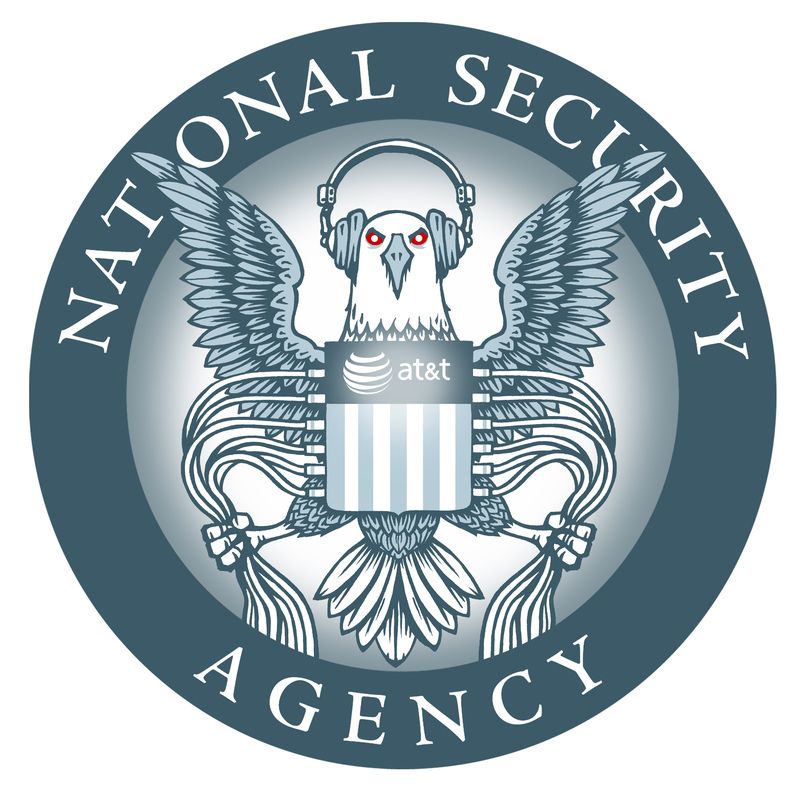 The DNI confirmed that the collection was “broad in scope” and conducted under the “business records” provision of the Foreign Intelligence Surveillance Act, also known as section 215 of the Patriot Act and 50 U.S.C. section 1861. The facts have long been part of EFF’s Jewel v. NSA case. The case does not include section 702 programs, which includes the recently made public and called the PRISM program or the fiber optic splitter program that is included (along with the telephone records program) in the Jewel v. NSA case. The First Amendment right of association is a well established doctrine that prevents the government “interfering with the right to peaceably assemble or prohibit the petition for a governmental redress of grievances.” The most famous case embracing it is a 1958 Supreme Court Case from the Civil Rights era called NAACP v. Alabama. In that case the Supreme Court held that it would violate the First Amendment for the NAACP to have to turn over its membership lists in litigation. The right stems from the simple fact that the First Amendment protects the freedom to associate and express political views as a group. This constitutional protection is critical because, as the court noted “[e]ffective advocacy of both public and private points of view, particularly controversial ones, is undeniably enhanced by group association[. ]” NAACP v. Alabama, 357 U.S. at 460. As another court noted: the Constitution protects freedom of association to encourage the “advancing ideas and airing grievances” Bates v. City of Little Rock, 361 U.S. 516, 522-23 (1960). The collection and analysis of telephone records give the government a broad window into our associations. The First Amendment protects against this because, as the Supreme Court has recognized, “it may induce members to withdraw from the association and dissuade others from joining it because of fear of exposure of their beliefs shown through their associations and of the consequences of their exposure.” NAACP v. Alabama, 357 U.S. at 462-63. See also Bates, 361 U.S. at 523; Gibson v. Florida Legislative Investigation Comm., 372 U.S. 539 (1963). Privacy in one’s associational ties is also closely linked to freedom of association: “Inviolability of privacy in group association may in many circumstances be indispensable to preservation of freedom of association, particularly where a group espouses dissident beliefs.” NAACP v. Alabama, 357 U.S. at 462. Here, the wholesale collection of telephone records of millions of innocent Americans’ communications records, and thereby collection of their associations, is massively overbroad, regardless of the government’s interest. Thus, the NSA spying program fails under the basic First Amendment tests that have been in place for over fifty years. No. The new case will also argue the basic First and Fourth Amendment arguments that we’re also raising on behalf of individual AT&T customers in Jewel v. NSA. It will also raise a claim under section 215 of the PATRIOT Act since we believe the government is misinterpreting the statute—it does not allow bulk collection and searching without individual judicial approval. We also raise a Fifth Amendment claim for informational privacy and for vagueness, since the secret court rulings by the court overseeing the spying, the Foreign Intelligence Surveillance Court, give neither the public nor law enforcement clear rules and limits on their ability to surveil Americans. There may also be other legal claims added later. The case is filed in the Northern District of California federal court and will likely be related to the Jewel v. NSA case and the Shubert v. Obama case currently pending there. This case is a companion case to our long pending one, Jewel v. NSA, where the court—in July 2013—rejected the government’s claim of state secrets privilege. The Jewel case also addresses the phone records collection, but on behalf of individual AT&T customers in a class action. It also includes the claims of direct access by the NSA to the Internet content and records of our communications carried on the fiberoptic cables of AT&T. Those were first revealed by Mark Klein and recently confirmed in the secret NSA slides released by the Guardian and the Washington Post.